Several Western environmental organizations, including High Country Citizens’ Alliance, are suing the U.S. Forest Service and Bureau of Land Management (BLM) over their approval of a pipeline plan that would allegedly put roads in in officially designated roadless areas. In a suit filed on Wednesday, March 5, the conservation groups say the Forest Service and BLM’s approval of the Bull Mountain Pipeline in January violates the intent of the 2001 Roadless Area Conservation Rule, which was passed to protect wild and road-free areas. 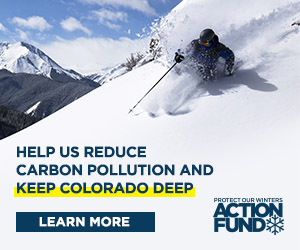 The other organizations involved in the lawsuit include Wilderness Workshop, Western Colorado Congress, Western Slope Environmental Resource Council, the Center for Biological Diversity, and Pitkin County. The 25.5-mile Bull Mountain Pipeline is intended to connect natural gas wells north of Paonia to a larger main line along the I-70 corridor. According to a press release issued by the conservation groups last Wednesday, the pipeline would originate in Gunnison County and cross eight miles of designated roadless areas. These include the Clear Creek, East Willow and Baldy Mountain roadless areas. The approved pipeline route traverses the Grand Mesa, Uncompahgre and Gunnison (GMUG) National Forest, and the White River National Forest. The pipeline also crosses about a mile of BLM lands, but the BLM lands do not contain inventoried roadless areas, according to BLM Northwest Colorado regional spokesman David Boyd. The U.S. Forest Service was responsible for developing an environmental analysis of the preferred plan and several alternatives as a requirement of the National Environmental Policy Act. The conservation groups say the Forest Service, in allowing the preferred route to be considered, is trying to redefine what roads are. "What is proposed for this pipeline is a road, with vehicles moving along a linear corridor. Workers are going to get to work each day by riding in trucks," High Country Citizens’ Alliance public lands director Dan Morse says. "What the (roadless) rule does say is road building, including permanent and temporary roads, is prohibited." Robin Cooley, an attorney for Earthjustice, a law firm representing the agencies in the case, agrees. "By playing word games and calling the road a ‘temporary use area’ or a ‘construction zone,’ the Forest Service is attempting to skirt the spirit and letter of the law to punch this project through," she says. GMUG public affairs officer Lee Ann Loupe says the Forest Service is not trying to change the definition of a road, and says the Forest Service does not consider the temporary construction areas as roads. "They’re identified to get equipment in there and get the pipeline in," she says. "As soon as work is complete the land is restored, re-contoured and managed in a non-motorized condition. The intent is not to manage it for motorized travel, it’s the minimum needed to install the pipeline." Gunnison Energy Corporation owns half-interest in the pipeline project, along with Texas-based SG Interests. Gunnison Energy Corporation president Brad Robinson agrees that construction areas don’t equate to road-building. He refers to an analogy of a home construction project. Robinson says when building a home, trucks must reach different areas of the property to pour the foundation. "If someone drives across your front lawn to pour concrete, that doesn’t make your lawn a road," he says. Morse says he fears that approval of this pipeline plan will become easier for other pipelines and temporary road projects to be approved. "This aspect of the roadless rule has not been tested. There’s no body of case law that is reliable for an answer… If one is allowed to build a pipeline using vehicles in a linear corridor in a roadless area, what happens to the other 160 million acres of roadless areas?" he asks. The environmental groups also contend that the federal agencies failed to consider the impact of additional natural gas wells in a roadless area, which would be more feasible if the pipeline was completed. Any additional wells would require a separate approval by the Forest Service. Pitkin County, the only government body involved in the lawsuit, is most concerned about the potential environmental effects caused by rapid natural gas development within the county and throughout Western Colorado, according to county attorney Chris Seldin. "Our involvement is really a continuation of a commitment to ensuring oil and gas development takes responsibility and compliance," Seldin says. "The pipeline is sized to accommodate development in excess of what is being contemplated (in the Bull Mountain decision), which suggests development in other areas tying into this pipeline will be facilitated," Seldin says. According to the petition filed in U.S. District Court by the environmental advocates, the Forest Service analyzed the development of only 55 to 60 additional natural gas wells as a result of the pipeline, but the groups claim the 20-inch pipeline could handle 280 additional wells. SG Interests recently got the final approval for a handful of new wells in the Muddy Creek Area, which will be served by the new pipeline. In the Environmental Analyses, the Forest Service did consider other alternatives that avoided the roadless areas and followed existing roads and transmission lines. Boyd says the BLM and Forest Service "looked at the alternatives and felt the one with the least impact was the one that was chosen." Morse disagrees that the alternatives would have caused more damage. "While somewhat longer, these routes follow already impacted corridors, avoid roadless areas, minimize wildlife and habitat impacts and eliminate any chance of illegal motorized use of the pipeline corridor," he says. Rob Peters, spokesman for Western Slope Environmental Resource Council agrees with Morse. "It’s common sense that following existing roads will cause less harm than punching a 100-foot-wide swath through a core wilderness area." The approved route does follow a smaller, 1980s-era pipeline, but Morse says along the entire 25-mile route, only 10 miles would be parallel to the existing piping. Robinson says the entire stretch of pipeline planned in the roadless areas is parallel to the one that is already in place. "It’s not exactly going through virgin territory," he says. The three roadless areas traversed in the preferred route are part of the 130,000-acre Clear Fork Divide roadless complex, which connects the Grand and Battlement Mesas to the West Elk Mountains. Robinson says he is unsure if the lawsuit will delay the anticipated summer construction of the Bull Mountain Pipeline. Robinson says, "We have not made a decision whether to try to intervene. It’s a little too early for us to tell what affect it may have, if any." Robinson says the company still needs a permit from Gunnison County to commence construction. The county Planning Commission will consider the company’s application during a regular meeting on Friday, March 14. If the court finds that the federal agencies did violate the Roadless Rule, Loupe says, it’s a possibility that a new Environmental Analysis with new pipeline routes will have to be developed.